The efficient markets hypothesis (EMH) asserts that well-organized capital markets, such as the NYSE, are efficient markets, at least as a practical matter. In other words, an advocate of the EMH might argue that although inefficiencies may exist, they are relatively small and not common. If a market is efficient, then there is a very important implication for market participants: all investments in that market are zero NPV investments. The reason is not complicated. If prices are neither too low nor too high, then the difference between the market value of an investment and its cost is zero; hence, the NPV is zero. As a result, in an efficient market, investors get exactly what they pay for when they buy securities, and firms receive exactly what their stocks and bonds are worth when they sell them. What makes a market efficient is competition among investors. Many individuals spend their entire lives trying to find mispriced stocks. 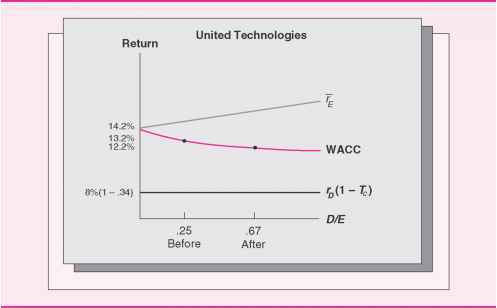 For any given stock, they study what has happened in the past to the stock price and the stock's dividends. They learn, to the extent possible, what a company's earnings have been, how much the company owes to creditors, what taxes it pays, what businesses it is in, what new investments are planned, how sensitive it is to changes in the economy, and so on. Not only is there a great deal to know about any particular company, but there is also a powerful incentive for knowing it, namely, the profit motive. If you know more about some company than other investors in the marketplace, you can profit from that knowledge by investing in the company's stock if you have good news and by selling it if you have bad news. Look under the "contents" link at www.investorhome. com for more info on the EMH.